A naturopathic doctor is a general practitioner who uses evidence-based medicine and patient-centred natural care. Each person receives safe, effective and individualized treatment that noninvasively targets the cause of concern. Available at 360° Wellness, naturopathic medicine treats the whole person by using the symptoms as a guide to locate the root of a problem. It focuses on proactive health care by educating and empowering each patient to take their health into their own hands. Meet Dr. Lacey Gerbrandt, B.Sc., N.D.
“I became a doctor because I care about people and their welfare and believe healthy people are happy people. I am always grateful to those who invite me to be a part of their healthcare team as I find great fulfillment in helping them take steps forward into a better life.” She believes that good health and happiness are essential to having a great quality of life. Dr. Lacey grew up on a property outside of Drayton Valley, Alberta. She completed a bachelor’s degree in science at the University of Alberta, Edmonton, and then a doctorate at the Boucher Institute of Naturopathic Medicine in New Westminster, BC. She has further training in intravenous therapies, pharmaceutical prescribing and emergency procedures. Dr. Lacey moved back to Alberta after the completion of her 11-year post-secondary education and is now happy to call Spruce Grove home. She recently started with 360° Wellness as she loved the integrated one-stop shop for health care that they provided and wanted to be a part of it. Further, this clinic is fully equipped for IV therapy which is a fantastic option for many. She enjoys working with the entire 360 team, who have found a place close to her heart. “I grew up feeling firsthand the toll disease within myself and disease within my family placed upon me. I personally went through every avenue the conventional medical system had to offer with no answers or relief. 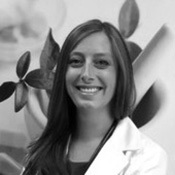 Dr. Lacey is a respected professional in her community and has always maintained good standing with both her regulatory college (the College of Naturopathic Doctors of Alberta) and her federal association (the Canadian Association of Naturopathic Doctors). 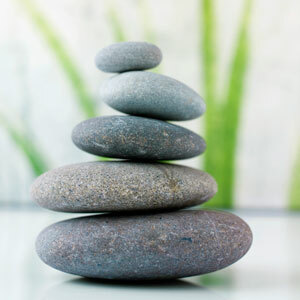 She offers a wide array of treatment options for any health concern you may present. Although she treats every health concern imaginable Dr. Lacey currently has the most experience with gynecologic concerns and fertility, autoimmune concerns, fibromyalgia, gastrointestinal complaints, stress management and musculoskeletal/pain concerns. More recently she has started providing cancer support and care. If you’re ready to learn more about naturopathic medicine, contact our team today!